When looking for the best buy in a six-seat single, first think about six-seaters, in general. You might think that the step up from a four-seat single to a six-seater would be a small step for an owner choosing to upgrade their plane, but this is not the case at all. There’s good news on this front, though. Vero Beach and Wichita are really getting it right with their newest batch of six-seat singles. Why? Because today’s six-seat singles offer a great combination of comfort, baggage capacity, speed, ease of flying and modern technology for people who need to cover a typical 250-mile stage length with four to six passengers and a lot of luggage. The purchaser of a six-seat single-engine airplane is looking for a combination of comfort and economy. A family of four will probably experience a difficult time packing all of its clothing and sports/entertainment accessories into one of the traditional four-seat Mooney/182/Bonanza/Comanche designs of the 1950s. The American flying family has grown and wants to bring along a friend or a relative, plus lots of recreational toys and luggage, so a bigger airplane is necessary. Businesses, constrained by the need to move employees and technical people to remote locations with a plethora of tools, equipment and devices, can no longer count on the airlines. Try getting a surveyor’s tripod (or any other large, valuable instrument or business tool) into an overhead bin. Sorry, it’s going to have to be checked as luggage. Oh, and when you arrive in Cleveland to do your survey work, and your tripod has been loaded on a flight to Portland…well, sorry. Some things just don’t work on the airlines anymore. All of these factors compel families and businesses to look for their own mini-airliners. But they all look great, so how do you decide which one to buy? The answer lies in the unique qualities of each aircraft and pilot preference. To choose the best six-seat single, you need to look at speed, useful load (not payload, and we’ll tell you why in a minute), runway requirements, insurance requirements and the one aspect that always gets you—price. The least fun topic is cost, but it’s a driving factor. Every pilot has a budget, and that’s often determined by a variety of factors, primarily income and the amount of expense that can be allocated toward transportation costs. Most of the models we’ll consider are priced around $600,000; the very capable Matrix costs around $940,000 and the top-of-the-line pressurized, six-seat M350 is about $1.15 million. After price, the next factor to consider is comfort. It’s determined by cabin size, both for the pilot and passengers in the back. The cockpits of the six-seat singles are roomy enough for a Tony Romo–sized NFL quarterback. You won’t hear many complaints about a modern six-seater’s front office, but what about the rear cabin? Four teenagers will be fine in the back of any of our six-seat singles, but can four normal-sized executives fit comfortably? This is a big factor and shouldn’t be glossed over too quickly. What about luggage? Which airplane carries the most skis, snowboards, parkas and changes of clothes per teenager? Or briefcases, golf bags and product displays? What about useful load? Remember, we said we want to look at useful load instead of payload in a six-seat single. This is because you can’t fill up all the tanks and all the seats on most airplanes, and you really don’t need to. If your average trip length with five to six people is 250 miles, why carry tanker fuel? If you’re routinely going farther than 300 miles with six people, then you probably need a bigger airplane anyway. So useful load (the amount of weight that you can divide between people and gas) is a driving force. The point of the six-seat single is to serve as your own flying Suburban, carrying lots of folks and luggage comfortably. What about pilot skills, experience and insurance? Do any of these aircraft require appreciably different pilot skills or carry a higher insurance cost? What about the runways on which you’ll be landing? Are they in big city airports at sea level or in hot-and-high, rough mountain areas? In addition to cost, cabin size and useful load, airport requirements and pilot/insurance requirements are also important factors when selecting the airplane that’s right for you. The G36 is, by every standard, the grand dame of the six-seat singles. It’s classy and roomy, and it’s a Beechcraft. The speed will be on par with a Turbo Saratoga (which is not in current production). But the G36 carries significantly less luggage. Some Bonanza owners have owned nothing else and will never own anything but a Bonanza. This aircraft is generic to the six-seat single-engine world. It carries less luggage than other six-seaters, and the rear-most seats are a bit of a squeeze for anyone older than 16, but it still has an important place in the lineup. It lands places where the others shouldn’t or can’t. You can fit things in the cabin that will only squeeze into a 206 (and nothing else short of a DC-9 or Pilatus PC-12). Also, anyone can fly a 206. Insurance companies love them because of their fixed gear. If the M350 is the Mercedes-Benz of the aviation world, then the Saratoga is the Chevy Suburban, the G36 is the Cadillac and the Cessna 206 is the Hummer. If your cargo needs are for hauling something slightly smaller than a baby whale, and you have to land on a 2,500-foot gravel strip at an 8,000-foot elevation with a low-time pilot, then the Cessna 206 is the only option. 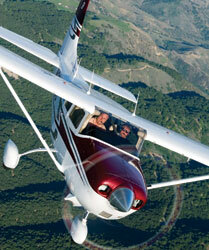 Piper’s big, roomy and fast heavy six-seat single comes sans the pressurization that makes insurance companies crazy. The Matrix gives those pilots who don’t want to pay the higher costs or meet the insurance requirements associated with pressurization (i.e., annual training/approved schooling) the largest cabin and best range/payload combination they can get while avoiding the aforementioned costs and requirements. If you really need to fly high, fast and over the weather, and you’re okay with the extra insurance requirements, then this can serve as your personal version of a Citation or Learjet. For a single, it’s fast, offers a big cabin and is pressurized. It will easily cruise in the mid-20s. It’s really a cousin to the Meridian, but without the costs associated with a turbine engine. Of the piston singles, depending on your outlook, this is the Ferrari or Mercedes-Benz Maybach Limo of the six-seaters. Piper is not currently producing the PA32 Saratoga, but as with all of its singles, that could change based on market demand. Still, good-quality used Saratogas abound. This is an American favorite for business or for pleasure. If you can fly a Cherokee, then you can fly a Saratoga (as long as you have some dual and experience). A Saratoga is really a new Cherokee 6, which is really a big Archer, so it appeals to the private, noncommercial, lower-time, newer pilot. It can probably carry the most luggage of any of the six-seaters. It’s priced competitively with the G36 and slightly higher than the 206. With GA avionics that are, in some cases, better than the systems in many commercial airliners, and optional air-conditioning and anti-ice on most new models, the six-seat single has really come into its own in private air travel. In most every case, today’s modern six-seat singles will do more than any other category of private aircraft on a cost-per-seat-mile basis. They’re easy and fun to fly, and most importantly, cost-effective and affordable. Even Cirrus owners have been known to order Matrix or M350 airplanes because they’ve realized the need to carry more people without significantly increasing operating costs. Interested in regular updates from Plane & Pilot? 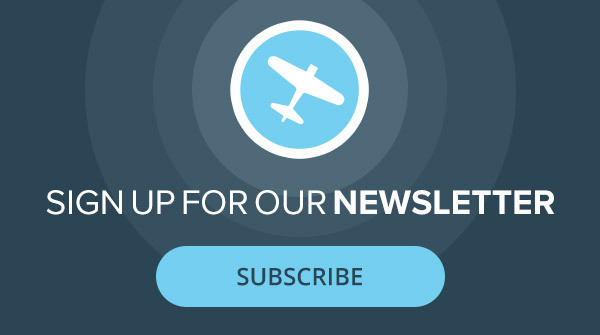 Sign up for our free newsletter to receive aircraft news, product information, pilot talk and more.